If you start to experience problems related to a specific paper path in the printer, such as paper jams, or you suspect that a printing problem relates only to one input or output tray, there are some troubleshooting steps you can take to isolate and resolve the issue. The first thing to try is printing from multiple paper paths. Choose a different tray for your print job, which you can generally choose from within the printer’s software or on the control panel of the device itself. Try printing FROM each input tray, as well as printing TO each output tray. 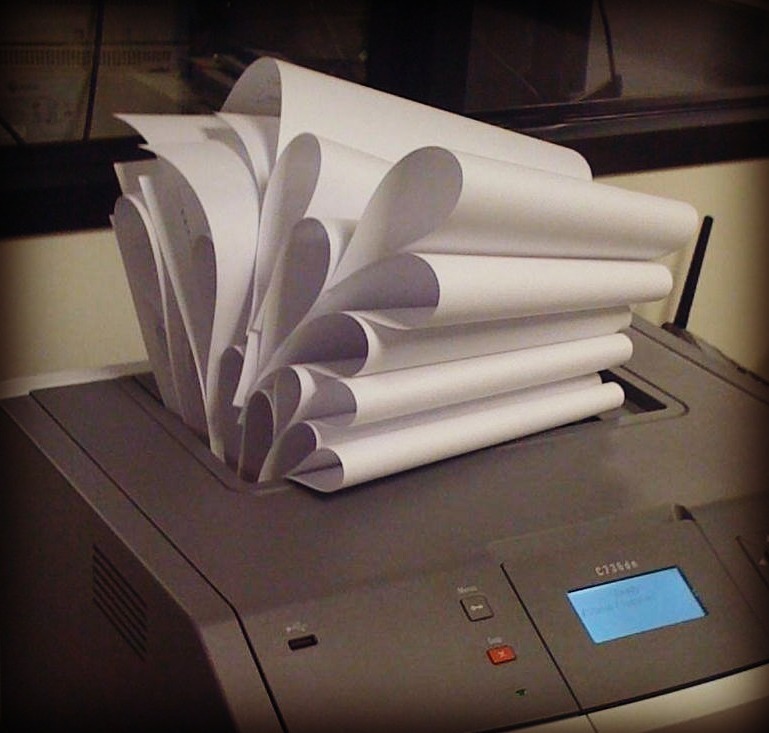 If a paper jam occurs only on a specific path, for example, you can then better isolate the location of the paper jam. Some HP LaserJet printers have a specific paper path test that can be run from the control panel. Try printing on a variety of different media, such as recycled paper, standard laser paper, etc. You can even try paper from different manufacturers. You may find that certain low-quality paper tends to jam more frequently. If this is the case, considering using only higher-quality media. If you find that only certain types of media tend to jam, such as card stock, try using it in a straighter paper path, or try a different brand or thickness. Many paper jams and other path issues can arise from paper that is not properly loaded. Consult the manual for the proper loading procedure, which may include sliding a plastic guide into place, for example. Also, avoid fanning the paper before loading, as this can cause air to be trapped between pages and lead to improper feeding. Lastly, make sure you are not loading too much paper. Most trays provide a line to indicate the maximum media that can be used. Turn off the printer, open the access panels, and remove the paper trays to gain access to the rollers. Inspect them for wear and tear, and if necessary, clean them with a lint-free cloth and some rubbing alcohol. If the rollers are particularly worn, you may want to consider using a printer maintenance kit to replace the moving parts of your machine. By trying the troubleshooting steps above, you should be able to get a clearer picture of what is causing your printing problem. By isolating the issue to a specific paper path or type of media, the solution will be much more apparent.